The “drum set” as we know it, has evolved over the course of 100 plus years. What was state of the art in say, 1936 would be considered extremely primitive by today’s standards. 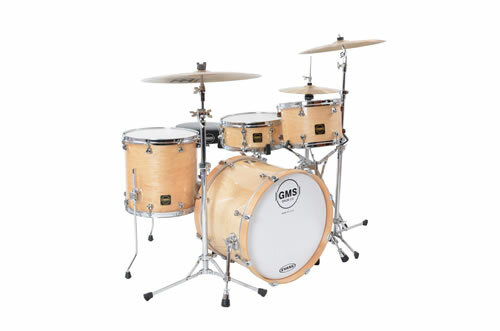 Technological advancements, and the ability to bring out certain sonic properties, have brought us to a very high bar in the manufacturing of drums. 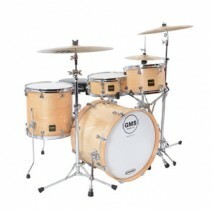 But, today’s drumsets sound like modern instruments, for the most part, and well they should. Listen to a recording done in the 60’s. Listen to a modern record, and the difference is staggering. Sure, we can attribute some of that to recording techniques, but the instrument also plays a large role in the sound. We feel there is a need for the “old school” sound. 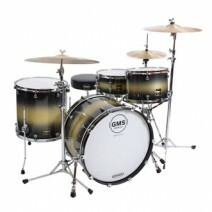 Lots of guys are scouring the web for “vintage” drums. 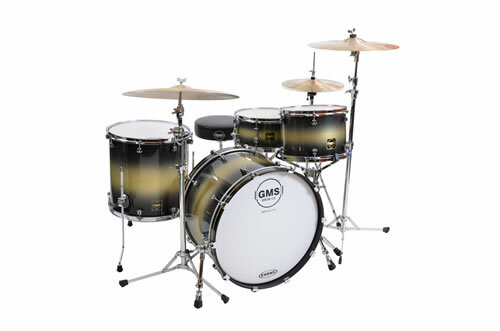 Enter the GMS “Super Vintage” series. We have used our expert modern manufacturing techniques to re-create the tones of days gone by. Forget about finding an old kit, and then spending some cash to get it playable. We’ve done it all for you. Super Vintage kits produce an absolutely killer, fat, warm tone in high, low or medium tuning. Standard Super Vintage colors include : Black/Gold Duco, Black/Silver Duco, Blue/Silver Duco, Natural Maple, White Marine Pearl and Black Diamond.